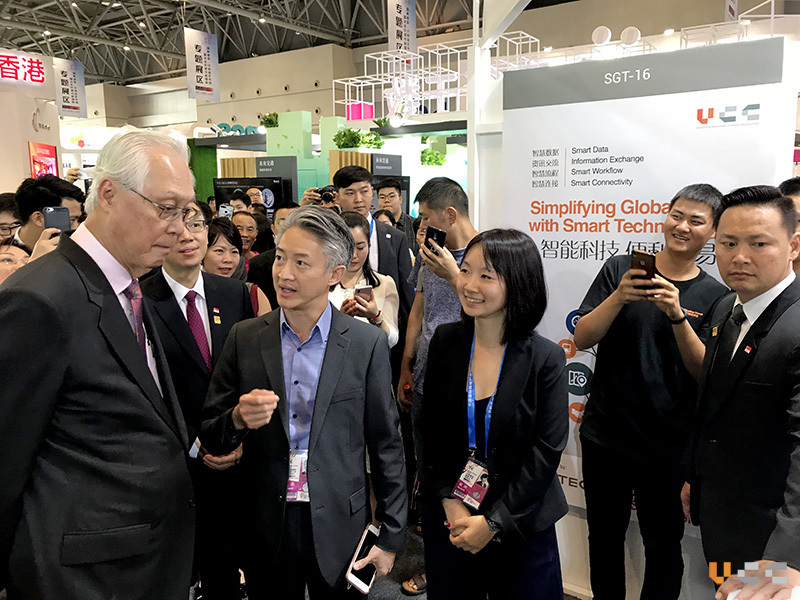 VCC participated in the inaugural launch of Smart China Expo (SCE) 2018 held at Chongqing, from 23 to 25 Aug 2018 – one of the largest infocomm technology (ICT) events organised by the Chinese government and IMDA’s largest delegation to China to date. 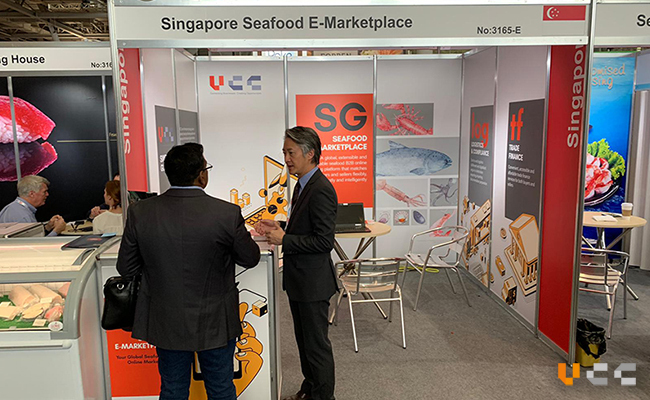 Singapore is one of SCE’s two countries-of-honour and is also the largest foreign exhibitor at the three-day ICT fair, affirming the strong bilateral economic ties between Singapore and Chongqing. VCC is among the 20 ICT companies exhibiting at the Expo. 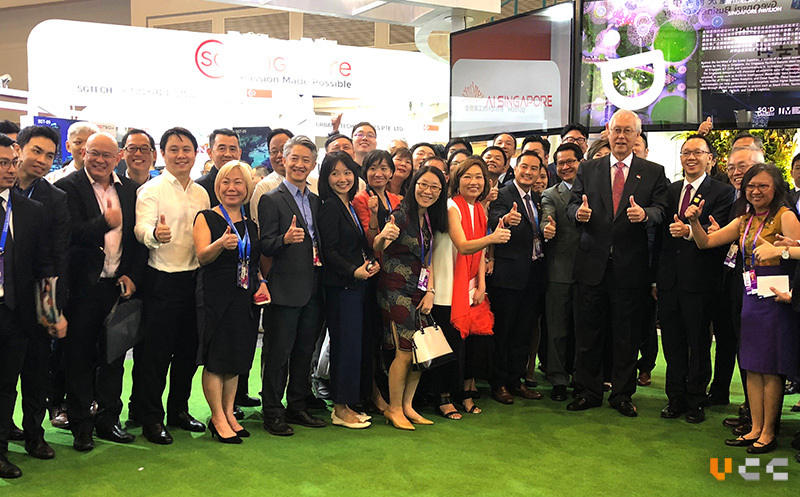 Emeritus Senior Minister (ESM) Goh Chok Tong, toured the Singapore pavilion at the expo and visited VCC’s exhibition booth at the exhibition. VCC Chief Operating Officer Mr. Allen Chan and General Manager (China), Miss Effie Jiang, took the opportunity to share with him on VCC’s ambitions in China and how VCC’s trademarked platform, CamelONE™, aims to promote and open up new opportunities for Singapore companies who are looking to penetrate the China market. 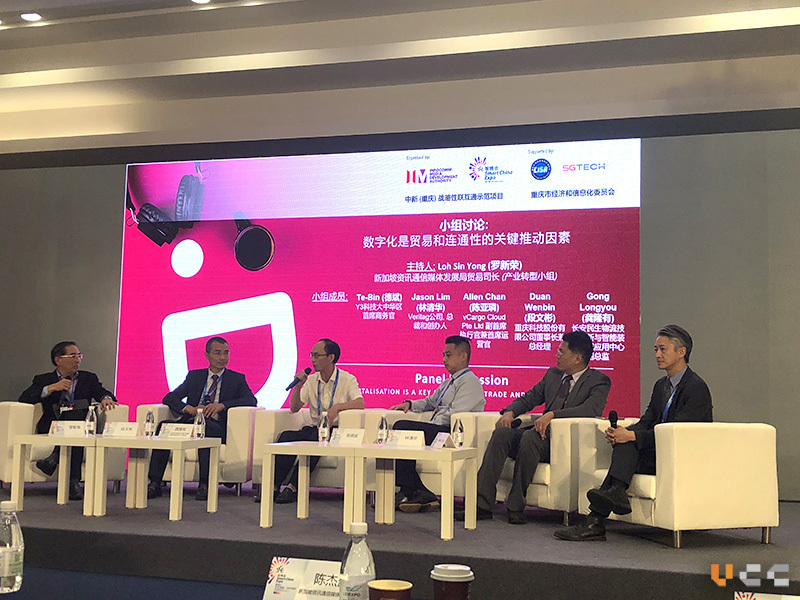 Apart from being one of the exhibitors of the event, VCC is also invited to be a panellist for the Singapore-Chongqing Digital Economy Seminar held concurrently with SCE. The seminar allows speakers to exchange experiences and ideas between Singapore and Chongqing on the journey of digitalization. 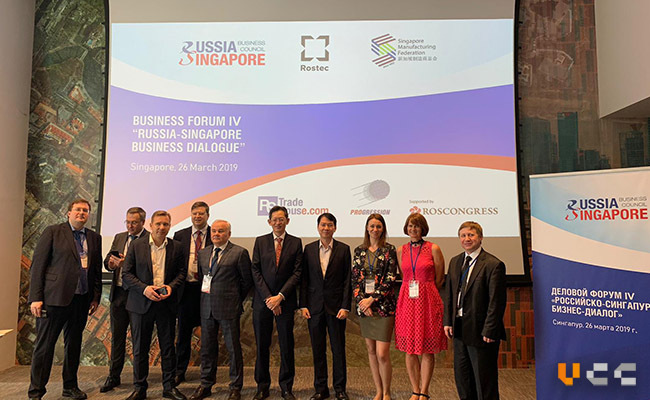 Topics covered include Smart Cities, Tourism, FinTech, and Trade & Connectivity – where VCC’s expertise lies. 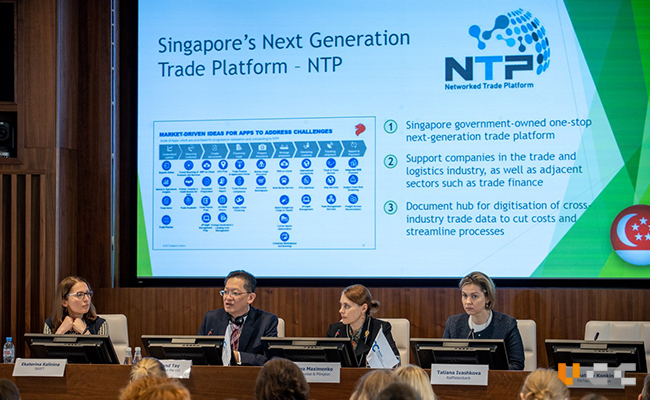 During the panel discussion, COO Allen Chan elaborated on how digitalization in the area of trade facilitation serves as an enabler for companies to go global and how VCC’s CamelONE™, an ecosystem that connects a wide range of stakeholders in in trade, will continue to support the rapid growth in cross-border trade. After the panel discussion, VCC team continue to engage in in-depth discussions with industry leaders and partners, including one with key organizers of the Expo Mr. Han Bao Chang, director-general China-Singapore (Chongqing) Demonstration Initiative on Strategic Connectivity Administration Bureau (CCIB) and Mr. Peng Zhi Ming, vice-director of CCIB on various avenues for further cooperation.